I hope you all had an awesome weekend! The weather in Kansas City was absolutely amazing, so we tried our best to take advantage of it and crammed in lots of fall fun! My kiddos were out of school Friday too, so we had an extra long weekend of fun! Is it just me, or are the leaves more beautiful than ever this year? Maybe it's just me being more appreciative in my old age, but I just can't get enough of the fall colors! I recently ordered a few things from Old Navy, so I wanted to share my try on's with you! Also, be sure to check back later this week because I am sharing how to style a particular Old Navy dress six different ways! Gotta love a versatile piece! For sizing reference, I am 5'6", wear a S/M in tops and usually a 6/8 in pants. I will link everything from this try on at the end of the post for ya! We love Halloween! Every year I think to myself, I am just going to get a *few* Halloween decorations out and focus more on fall decor....but then we start going through the boxes and the boys get so excited to see things they remembered from last year. It's hard to refrain ourselves once we get going! So, here we are...in full Halloween swing! And being less than a week away, I wanted to finally get this post out before it's too late! It was so fun having a blank canvas with this faux shiplap wall this year! If you want to see how I created this wall, you can read all about it here! Hey friends! Most of y'all know I'm smack in the middle of my 2nd Whole 30, so it may seem a little odd that I'm sharing a recipe for a meal I can't even eat right now. But I have had this recipe in my drafts for a while, so I wanted to go ahead and share it with you! 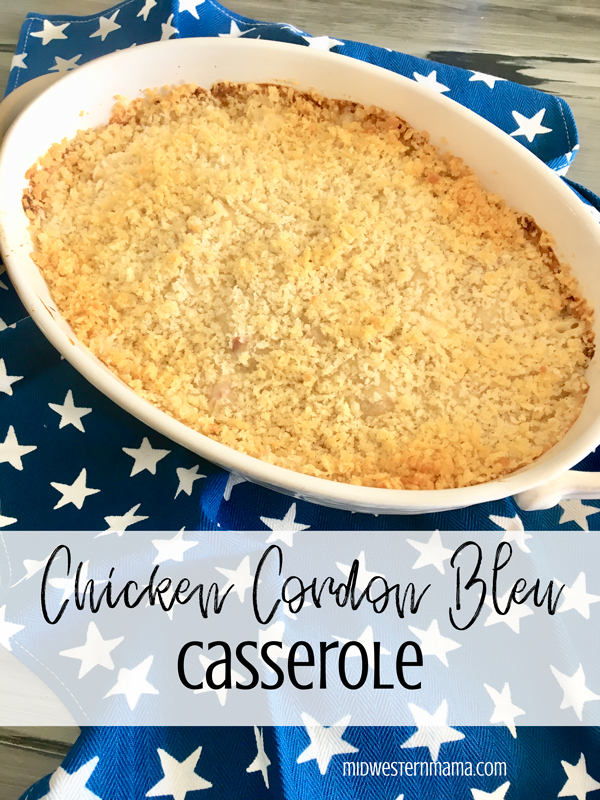 This chicken cordon bleu casserole is one of those recipes that checks all the boxes! I can prep this meal at any point during the day, and keep it in the fridge until it's time to throw it in the oven. I usually make things even easier on myself and get a precooked rotisserie chicken. Another shortcut you could take would be to use canned chicken...you know the kind that comes in a tuna fish style can? Or if you are having chicken earlier in the week, just cook a couple of extra pieces and you'll have them all ready to go for this meal! I have been loving the layered rug trend for a while now. I started layering rugs inside, in my living room and my son's room, but I've also taken my love of layering outside! I really like the added interest and texture two rugs gives. It also allows you to occupy more space in an area if your current rug looks small in comparison to the space it is in. 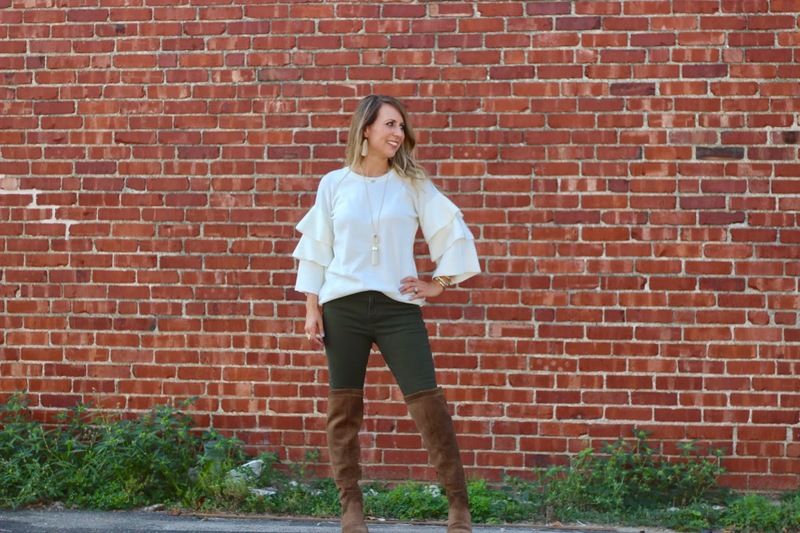 I ran to Walmart recently to grab some items for my son's school, and as I was rushing past the aisles, in hopes of getting the heck out of there ASAP, a cute ruffle sleeve sweater caught my eye. I had my kids with me, so I wasn't about to stop and shop, but I felt the fabric, and was pleasantly surprised. They didn't have my size in store, so I made note of the brand and looked online later that day. I was SHOCKED at the number of REALLY cute things they had! And the prices were insane! So, I placed an order to try them out. I wanted to take a minute to THANK YOU for joining me in my tiny little corner of the web. I come here every day hoping to inspire others to be their best selves. I enjoy sharing things I love with people I love (that’s you😘), in hopes of making your day a little brighter. Sometimes that's a craft I have enjoyed making, sometimes it's a mom hack that has made my life easier. But mostly it's style inspiration because that's what I enjoy the most! The truth is, I’ve always liked fashion. Even in high school, when I would sometimes raid my brother's closet, I found it fun to express myself with clothing, shoes, accessories, hair, and makeup. However, after I had babies I felt lost. There were times that I didn’t even know who I was looking at in the mirror. I felt like I had lost my sense of identity and I was simply a mom and nothing else. I specifically remember going to a jewelry party and telling the host that while I loved several of the pieces on display, I didn’t feel like I should buy anything because I just stay at home with my son and I didn’t have anywhere to wear it. How sad! Not that I should feel pressured to buy anything, but sad that I didn’t feel worthy enough of this jewelry. It's finally fall, y'all! It seems like we have waited and WAITED for it to come this year! And, now that the weather has cooled off and the calendar says it's officially FALL, it's time to get our fall activities in order. My kiddos love hitting up multiple local pumpkin patches, but in addition to that, there is a whole slew of things we enjoy this time of year. 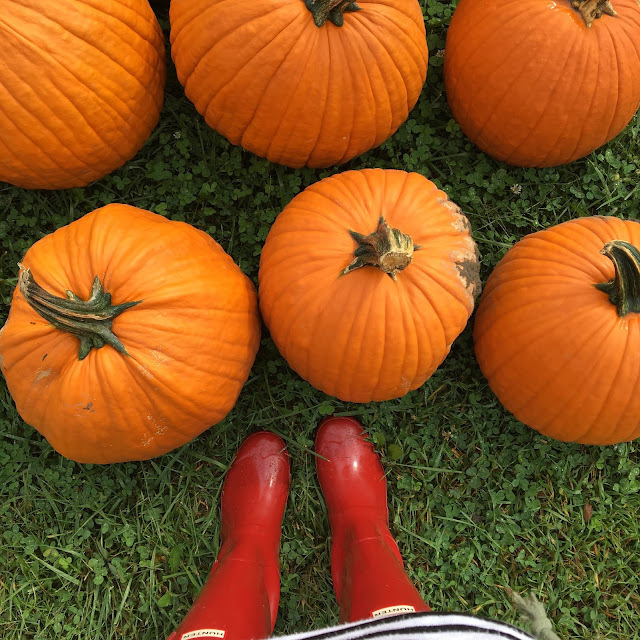 I thought I'd share some of our fall bucket list ideas, and I'm hoping you will do the same! Play with kittens at Pumpkin's Etc.